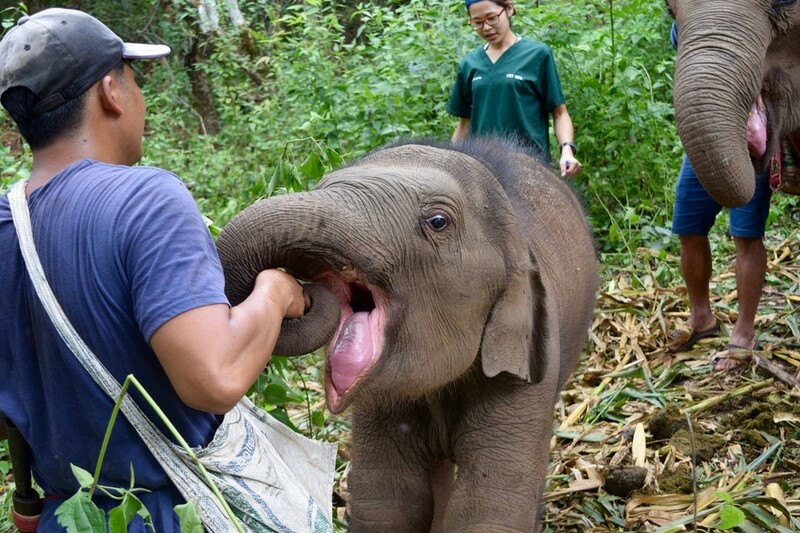 When rescuers walked Thong Kam and her 4-year-old daughter Bai Fern out of an elephant riding camp and into the forest, they had no idea they were actually rescuing three elephants. 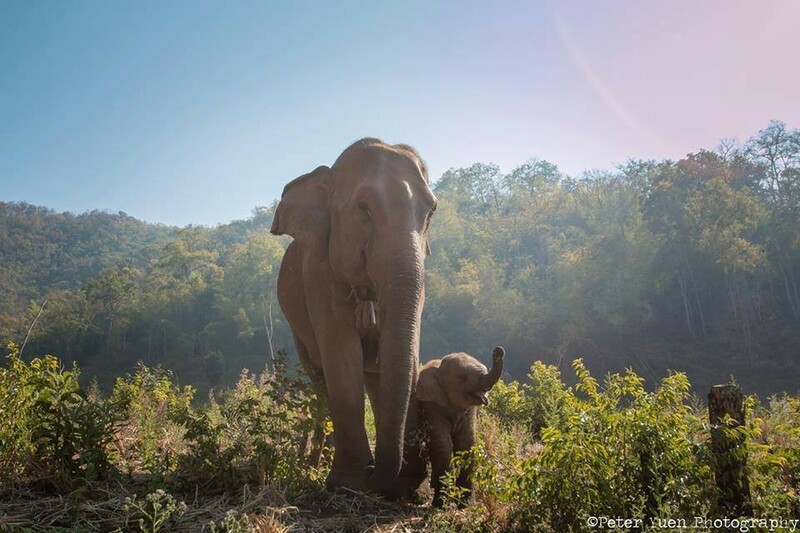 “Beautiful Sunti — which means ‘peace’ in Thai — was born on the 28th November last year in the depths of the forest and has lived there since then with his family,” Sarah Blaine, of the Mahouts Elephant Foundation, told The Dodo. The Mahouts Elephant Foundation works with the Karen hill tribe families who live in a remote village in the hills of northern Thailand and own elephants. 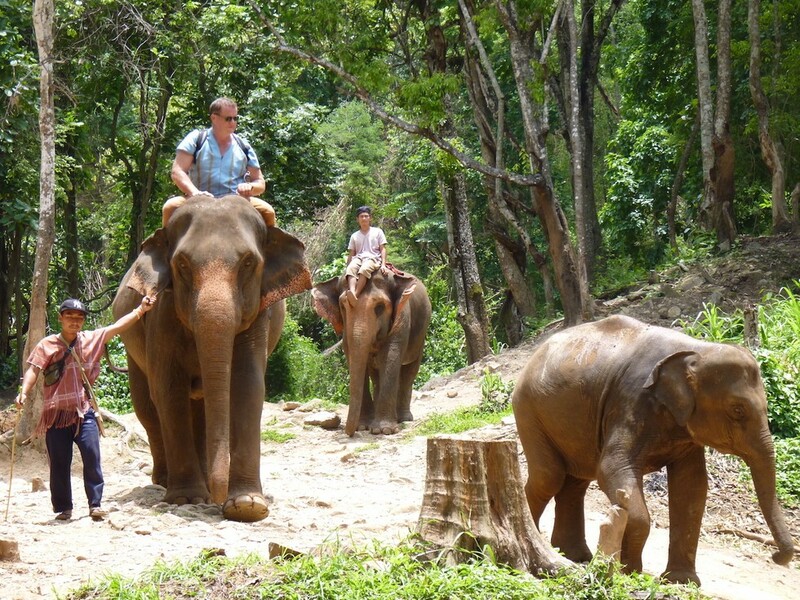 The Foundation is trying to encourage the mahouts to shift from trekking camps to more sustainable models of tourism, where visitors can walk through the forest to see elephants like Thong Kam, Bai Fern and Sunti, rather than forcing them to give rides. 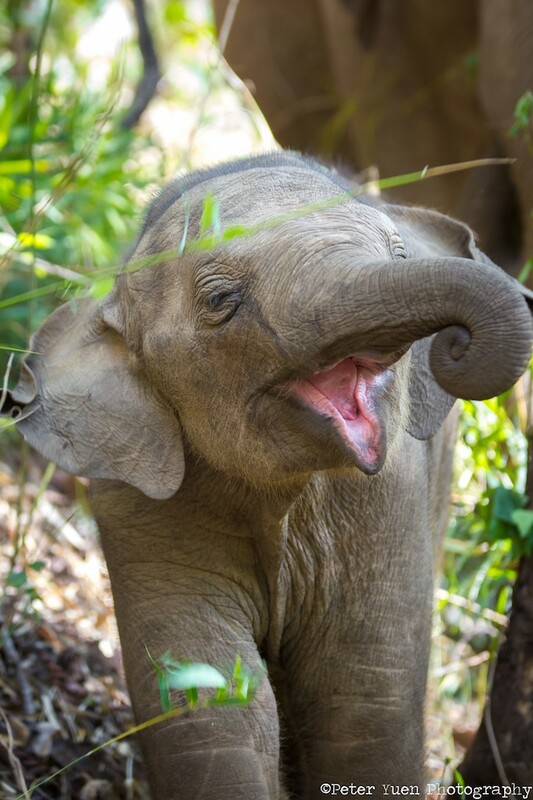 “Our aim is to return many more elephants to this vast area of protected forest,” Blaine said. But Thong Kam’s mahout tried to give her a better life by choosing a riding camp that didn’t use heavy carts, which can cause sores and stress on the elephant’s back. When given the opportunity to free Thong Kam and her family from the riding camp, her mahout embraced the idea. Thong Kam and her family are some of the first elephants to be freed from working — and they seem to be enjoying themselves so far. 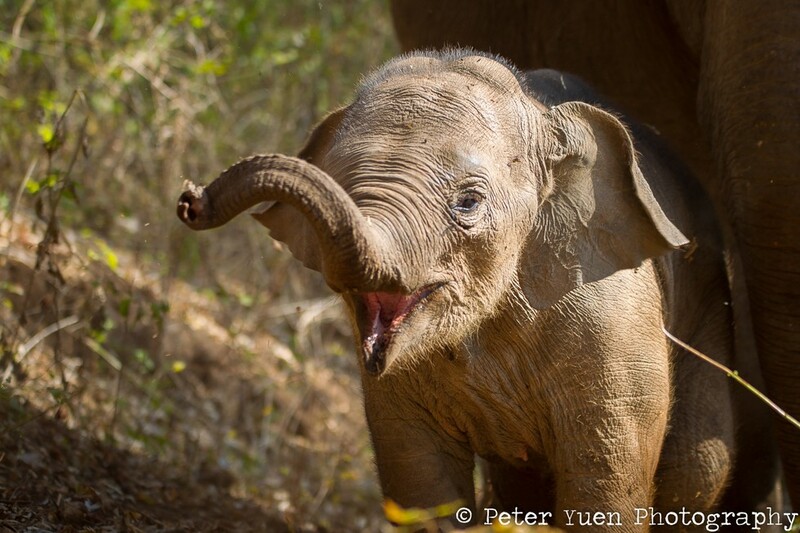 The Mahouts Elephant Foundation hopes to help other elephants like Thong Kam and her family. Learn how you can support the group here.